Violet Leaf Absolute is an intriguing absolute to work with. Aromatically, it possesses a green aroma with a slight earthy, floral character at low dilutions. As an absolute, I particularly prefer it for use in perfumery and fragrancing applications. It blends especially well with essential oils in the floral, herb and wood families. Refer to the remainder of the profile for Violet Leaf Absolute uses, benefits and safety information. Green, earthy, slightly floral in dilution. Source: Valerie Ann Worwood, The Complete Book of Essential Oils and Aromatherapy, 25th Anniversary Edition (Novato, CA: New World Library, 2016, 630. Source: B.M. 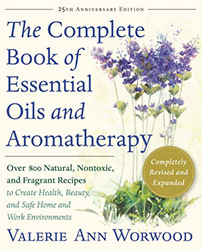 Lawrence, Essential Oils 1988-1991 (Wheaton: Allured Publishing, 1995), 134. Source cited in Robert Tisserand and Rodney Young, Essential Oil Safety (Second Edition. United Kingdom: Churchill Livingstone Elsevier, 2014), 467.